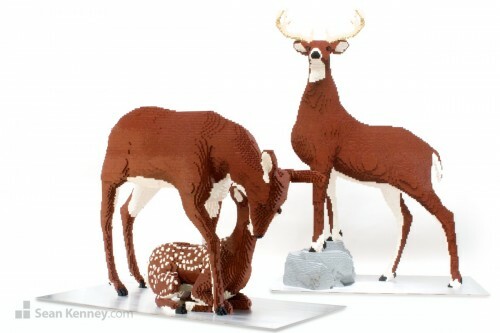 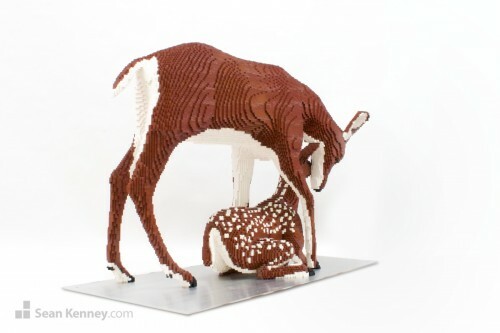 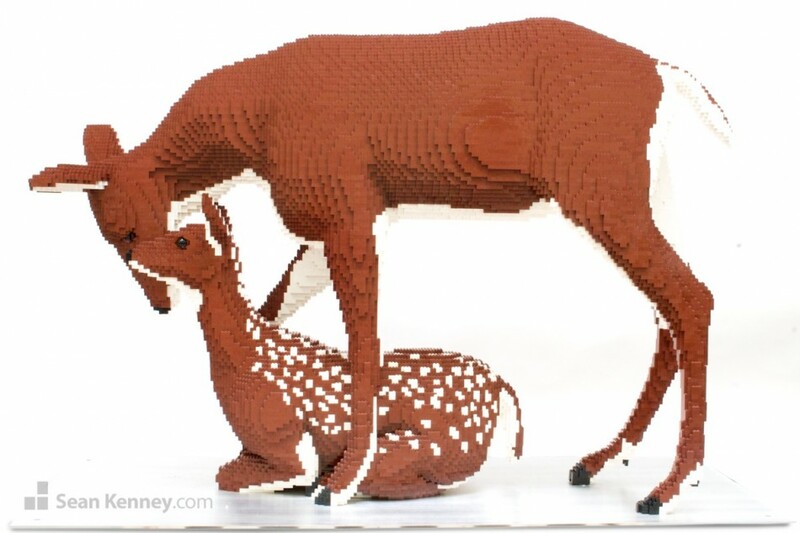 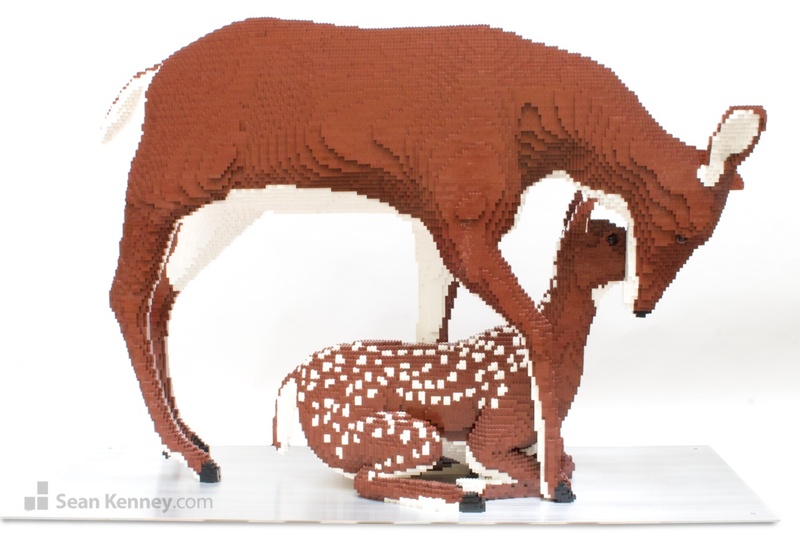 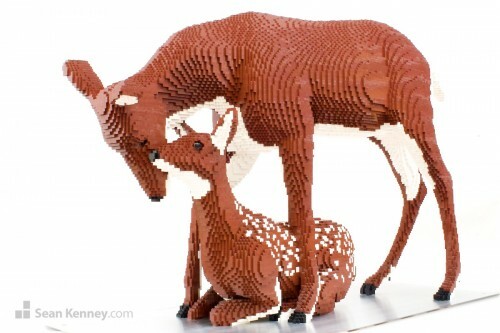 This sculpture is part of a larger “Deer Family” installation together with a Buck . 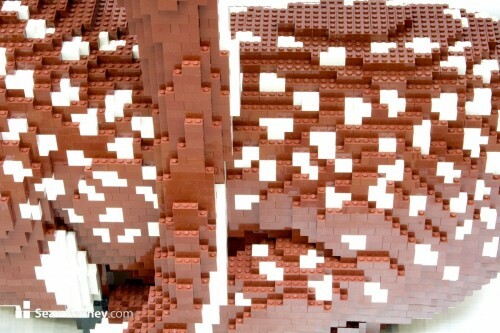 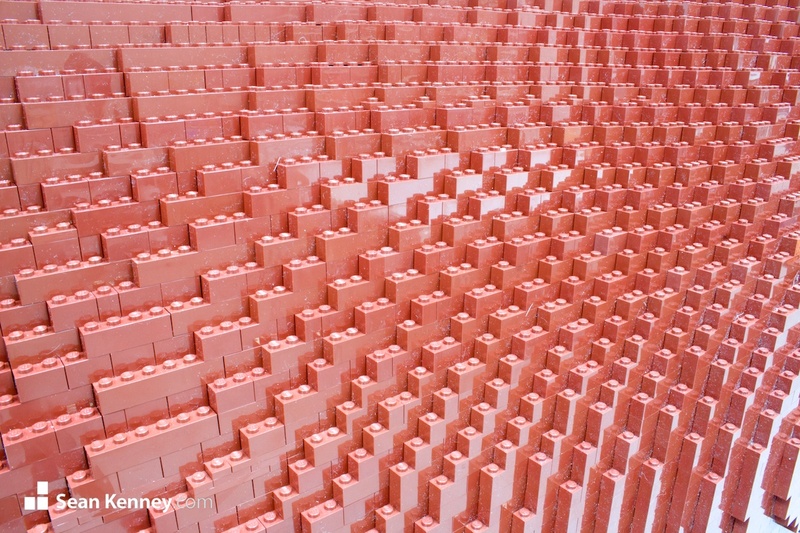 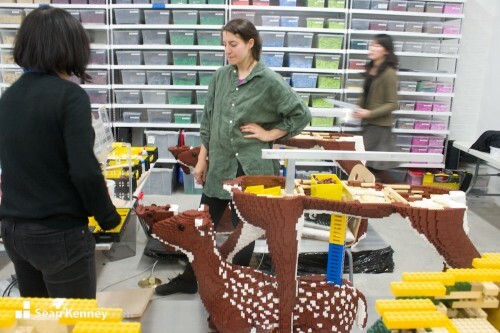 This sculpture contains 37,879 LEGO pieces and took my assistants Jung Ah and Arielle 325 hours to design and build. 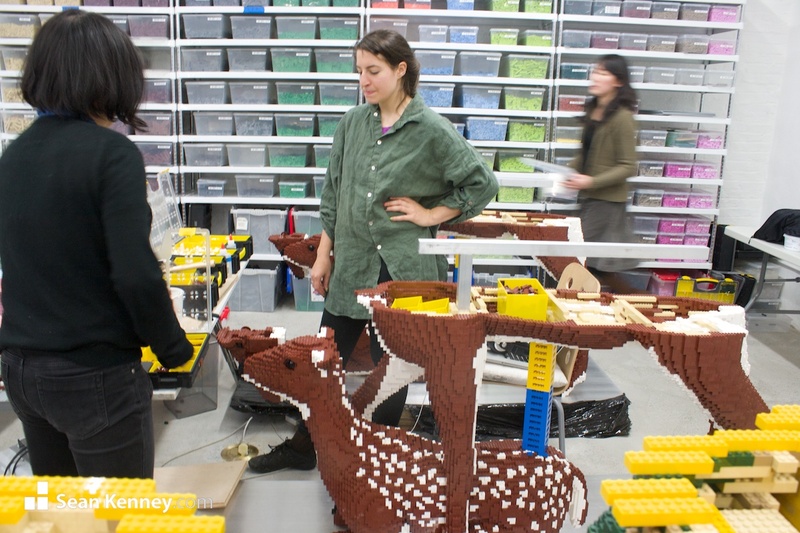 Two copies were made over the course of 650 hours (5 months!). 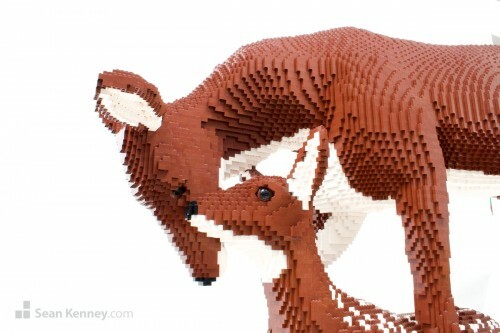 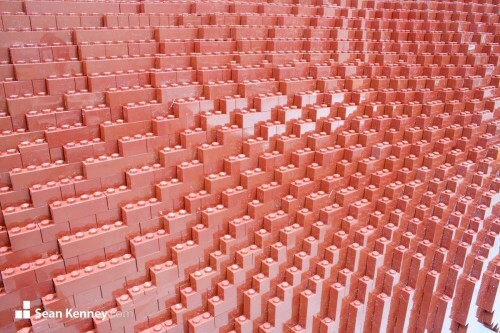 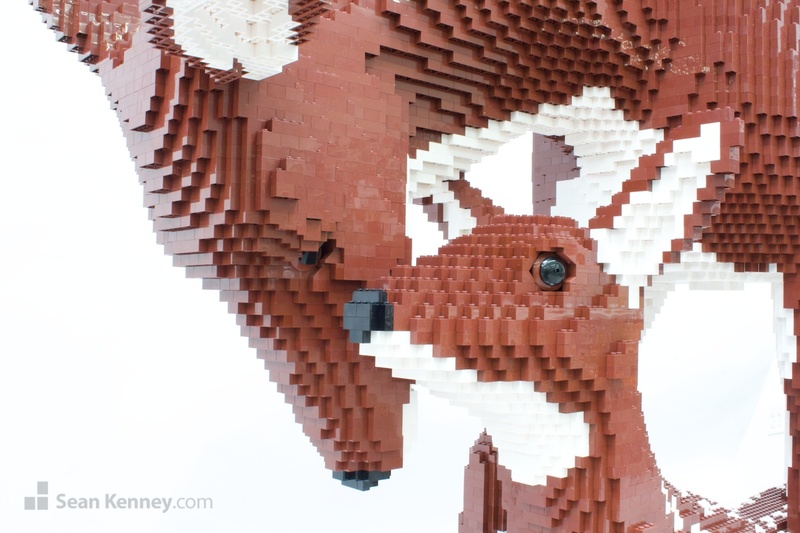 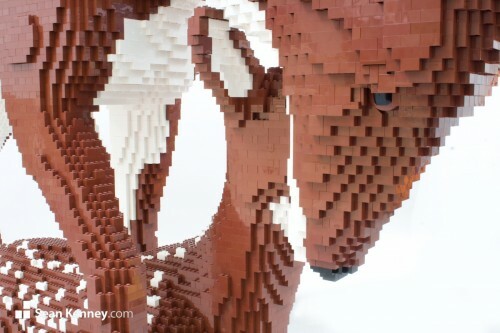 The sculpture is built around a custom-welded metal armature and every LEGO piece is glued one-by-one.